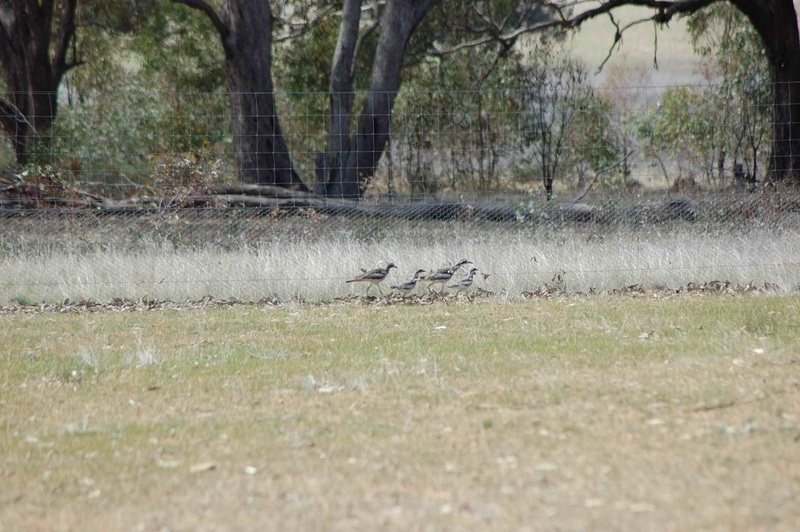 Bush Stone Curlew Recovery - Kowree Farm Tree Group Inc. The Bush Stone Curlew (Burhinus grallarius) is a brown flecked bird which stands knee high. It lives, feeds and nests on the ground in grassy woodland habitat across most of Australia. It is nocturnal and has a terrifying scream for a call. In northern Australia it is common, but in the south, extremely rare. The Bush Stone Curlew is a ground dwelling bird which inhabits a grassy woodland habitat in the South-west Wimmera. Not unlike its preferred habitat, Bush Stone Curlew numbers are highly depleted. It is a highly territorial bird and is long lived. Across the South-west Wimmera a scattering of individuals or pairs of Bush Stone Curlews remain. They inhabit particular paddocks, usually around patches of degraded woodland. Farmers are aware of their presence and invariably value these birds highly. However, due to their ground-dwelling and nesting activity these pairs of Curlews are highly susceptible to fox predation, and although the adults are quite durable, they rarely manage to raise young. Eventually the adults die without replacement. From 2007 - 2011 the KFTG ran a program to locate these birds, identify their nesting sites and construct fox-proof enclosures around them. This activity has been somewhat experimental in nature and has met with some limited success. To date four two hectare enclosures have been erected and successful breeding has occurred in two of them. A further two pairs have been identified, but the localities of their nesting sites is yet to be determined. It is almost certain that the approach to Bush Stone Curlew conservation pursued by the KFTG will be insufficient to save these birds from local extinction in the near future. So in 2012 the Kowree Farm Tree Group is investigated the feasibility of setting up a captive release program to artifically boost local bird populations. Unfortunately we were unable to find a program that would successfully achieve this. While supplementing the wild population and protecting nesting pairs is important, so too is increasing the amount of habitat available to these birds while protecting and improving the habitat that is left. The re-vegetation work and habitat protection the Kowree Farm Tree Group has been since 1999, will have provided some more much-needed habitat for the Bush Stone Curlew and other threatened species.